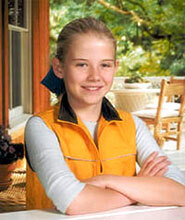 Before dawn on June 5, 2002, Elizabeth Smart, age 14, was kidnapped from her bedroom. She was found alive nine months later on March 12, 2003 just a few miles from her home, with her captors, Brian David Mitchell and Wanda Eileen Barzee. Her abduction and recovery were widely reported in North American media and internationally. Ed Smart has become a nationally renowned spokesperson for child protection, advocating for legislation and non-profit organizations that focus on the prevention and recovery of missing children. Ed works with and serves on the board of several non-profit agencies including, the National Child ID program, sponsored by the AFCA (American Football Coaches Association), radKids; and the I Keep Safe program from the Governors' Spouses Coalition for Internet Safety. Ed is also a member of the State of Utah's Amber Alert committee and a frequent guest speaker for Law Enforcement and other agencies involved in protecting children from predators.